Here at AdventureYogi, we are sometimes asked to review products. We only review the ones that we really believe in, so that you are getting our honest opinion about them. We would never recommend someone buy something we haven’t tried. And we have tried this Pranamat ECO for 3 weeks now and we love it! What is a Pranamat ECO? 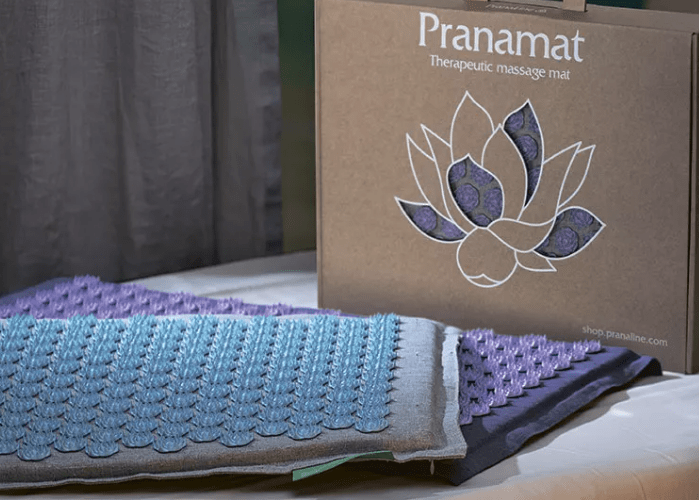 A Pranamat is an acupressure mat that is inspired by ancient and proven principles and techniques of acupuncture to help give relief of various types of pain such as back pain, sciatica, headaches, lethargy and more. 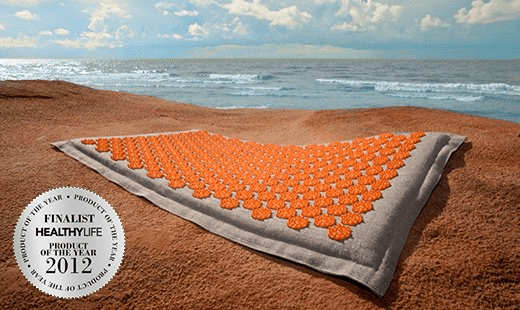 It has been created from the ancient concept of a bed of nails and has 221 elegant lotus flowers which have 25 different sized petals on each which activate an auto massage on the 360 acupuncture points in the body. The acupressure points help to open up the body, giving it a chance to heal itself. Acupressure is derived from acupuncture and is an ancient healing art created 5000 years ago in China, where the use of pressure from fingers, thumbs and elbows is applied on the many meridian points of the body. Acupressure releases tension, increases circulation, reduces pain and is ideal for self-care and preventative health care. 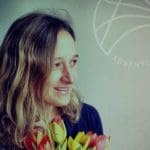 How Does a Pranamat eco Benefit the Body? Not only is it a good preventative measure to illness and helps energise body and mind, it is also good for healing muscle pain or spasms, back pain, headaches, cellulite, improves sleep and mood and low blood pressure. A study into the benefits of the mat showed that it stimulates the nervous system, dilates muscles to improve blood flow and also increases the lymphatic system. These systems, therefore, improve nerve function, improve the immune system, help to release toxins more quickly from the body so benefits a detox, produces oxytocin which is a mood enhancer, helps joints by helping blood flow to the area in question and thus helps in pain management. We have been trialling one and have used it every day, either sat on the mat whilst working, lying on it to relax the back muscles, or standing on it for a few minutes if we are in a hurry! The packaging is really nice and when you open up the box the product itself looks fantastic quality, lovely cotton and the petals look interesting! I was sent one with turquoise petals and a grey cotton base. On the first attempt, feeling a bit cautious, I tried lying down as the first experience. It felt a bit strange at first but at no point did it hurt. It felt deeply relaxing and I now can easily doze off as it feels quite relaxing. The mat doesn’t feel painful, just a bit spiky to start with. However, it feels quite soothing and relaxing after a few moments. The mat has helped me feel more relaxed overall and energised me during the day. I feel more alert after using it. 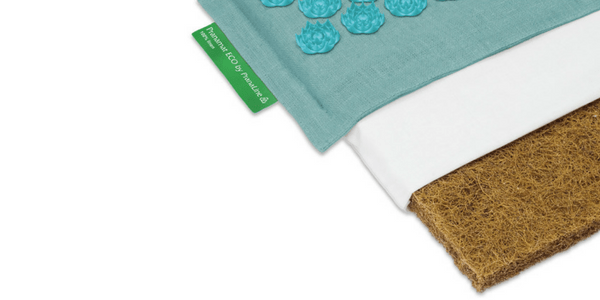 It’s made of 100% natural materials, such as linen, organic non-dyed cotton and coconut fibre. The petals are made from hypoallergenic plastic that is medically tested. It is a very natural product. How Much is the pranamat ECO? It is £79 and you can choose a variety of colours. Pranamat recognises that colour can also have a positive effect on you mentally and emotionally. For more info or to buy your very own please go Amazon for the best deal. If you would like to find an escape to take your yoga mat away with you, join us on one of our retreats Either in the UK or try our yoga holidays abroad too!